A survey by You & Your Wedding, the UK’s leading bridal brand, has revealed that despite the tough economic climate brides are more determined than ever to have the wedding of their dreams; with the average cost of a wedding in 2014 totalling £20,983 and 50% of all brides expecting to go over their initial wedding budget. The You & Your Wedding 21st Century Bride survey of over 2,300 brides explored wedding trends across the UK revealed that 50% of brides expect to go over budget to get the wedding they want; whilst 51% are willing to make cutbacks in other areas of their spending to pay for it, 20% of brides would borrow money rather than compromise on their big day plans. Only 22% of the brides surveyed were prepared to cut their budget due to the economic climate. The average cost of a wedding in 2014 was £20,983, down from £21,939 (4.5%) in 2012, but up almost 5% from 2009 (£20,020). Over the same period, the average numbers of guests has fallen by 9%, from 101 in 2009 to 92 in 2014, whilst the average spend per guest has risen by 14%, from £198 per person in 2009 to £226 in 2014. The single biggest wedding expenditure is venue hire, costing an average of £3,397 (16% of the total cost); perhaps explaining why so many brides expect to go over their budget – finding a venue was ranked as the top priority by brides when planning their wedding, above setting the budget and deciding the guest list. The honeymoon is the second biggest outlay for the wedding, an average of £3,164 (15% of the total budget), followed by food at £2,882 (14%). The average cost of an engagement ring is £1,772 (8%), however, when the cost of the couple’s wedding rings and accessory jewellery is included, the total average spend on wedding jewellery is £2,849 (14%). Total spend on clothes is £2,402 (11%), including £1,098 for the all-important wedding dress, compared to £329 for the groom’s outfit! When it comes to looking good on the big day, 59% of brides say they intend to lose weight, compared to just 35% of grooms. 39% of brides plan to have their teeth whitened for the wedding pictures, whilst 6% are planning on having botox. The survey also reveals that when it comes to planning the big day it is the bride that takes the lead, with 59% of respondents saying they doing the bulk of the planning, 36% were planning jointly with their fiancé, whilst just 2% of grooms were solely responsible for the planning. Parents still play a big part in financing the day big; 50% of couples get financial assistance from their parents, 11% let their parents pay for it all, whilst 35% fund it themselves. 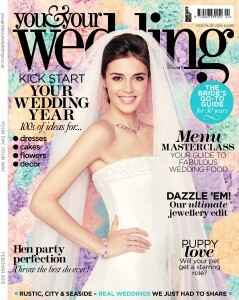 The full findings of the You & Your Wedding Bridal survey are in the latest issue of You & Your Wedding Magazine, on sale now. Please credit You & Your Wedding. You & Your Wedding spoke to 2,320 respondents in June 2014.
Who is planning the wedding? ‘You & Your Wedding’ is the ultimate guide offering inspirational planning to all modern brides on their unique and special journey from “Will you?” to “I do”. You & Your Wedding delivers engaging content across multiple platforms: a glossy, bi-monthly print magazine; Youandyourwedding.co.uk which attracts over 680,000 unique users and over four million page impressions a month; and You & Your Wedding Venues, a comprehensive venue marketplace with over 3.00 wedding venues across the whole of the UK. 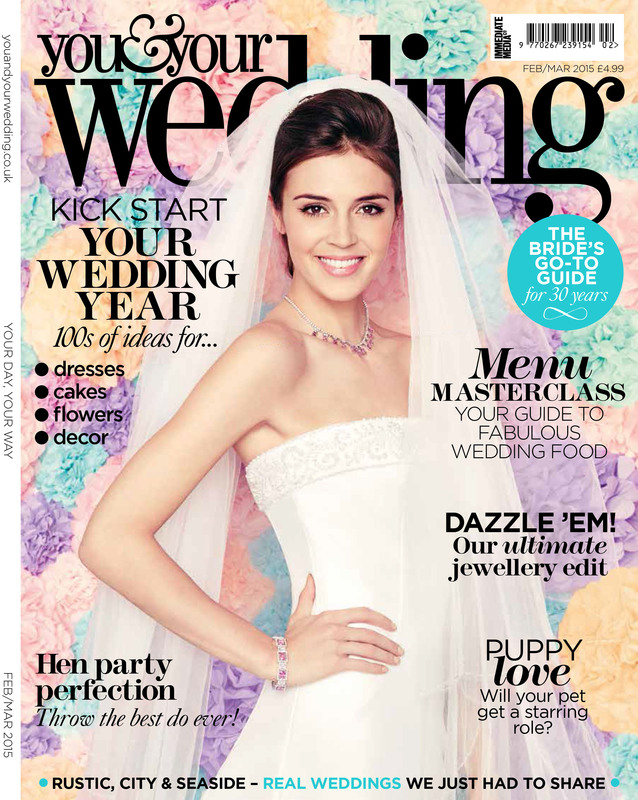 Immediate Media Co is the biggest bridal publisher in the UK, with a 36% share of the bridal magazine market, publishing both You & Your Wedding and Perfect Wedding.